Went for a quick dinner at Jimmi Jamz. 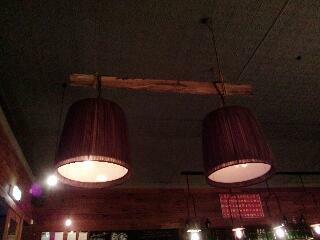 Sat inside this time, underneath some cool huge hanging lights. Sometimes eating out, you stuff yourself sick, because the portions are bigger than how you would eat normally and also because you want to try this and that. But lately, I haven't been feeling very hungry lately, don't know why. 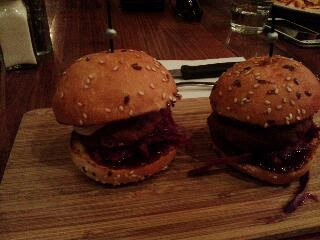 Just got these small pulled pork sliders and they filled me up nicely.